Pedal Out! is your collect and return bike repair shop. 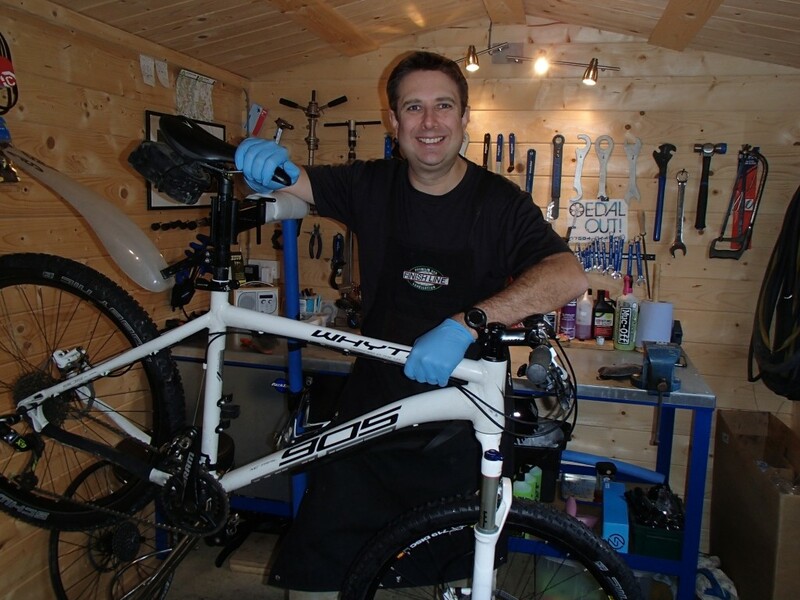 I service bicycles in Horsham, Mannings Heath, Southwater, Billingshurst and the surrounding areas. I am a professional cycle mechanic with Cytech accreditation and 15+ years experience working on most kinds of bikes. I have worked in retail workshops, at event support for races, sportives, triathlons and charity rides and currently own and operate Pedal Out! Cycle Services. My service plans range from standard services and tune ups through to full strip and rebuilds. If your gears are slipping, your brakes are not stopping you properly, you’re about to start training for a long distance bike event and need a complete service, or you want to start upgrading your current bike with new parts, I can help you. I always agree to collect and return bikes at convenient times which can include weekends and evenings as well as week days. I’m flexible to meet individual requirements and my aim is to fit in with my customer’s busy lifestyles so they get the most from their bikes with the minimum of fuss. Many of my regular customers are highly accomplished cyclists who have very clear requirements and expectations in terms of exactly what parts must be used on their bikes. This is why I always ensure any necessary parts which get fitted during a service are exactly the correct ones and never ones which ‘will do ok’ and compromise the overall performance of your bike. I do it properly so you get the best results. This is one of the main the reasons why I nearly always collect and return bikes; it is simply impossible to carry (or stock in some cases) every part needed for every kind of bike. Also, all my specialist cycle tooling is bike shop standard and of course, I use torque wrenches where required; especially for state-of-the-art carbon fibre components, where correct tightening is essential to safety and performance. If you like what you read, please click on my Services and Prices page for more details or give me a call.